Was the time on the old Grammar School clock correct? 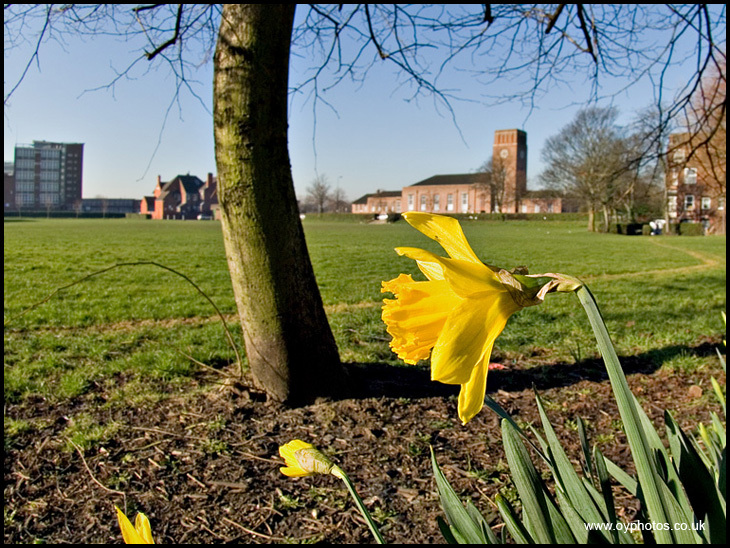 My daffs were all flattened in the storm,Dave.Nice to see the Wigan daffs against the backdrop of my old class room. Spent many a long hour there. We used to play "Fives" just to the right of the photo. The Fives court was demolished many years ago. Unfortunately, Dave, as you very well know, this view will never be seen again.